David Suchet is starring in The Price at the Wyndham's Theatre in London for a new run this winter! The Price tickets are sure to sell quickly so act fast! Following a critically acclaimed run at the Theatre Royal Bath, The Price has transferred to Wyndham’s Theatre in London’s West End with David Suchet (The Pinter at the Pinter’s The Lover / The Collection) and Brendan Coyle (Downtown Abbey) set to reprise their roles as both furniture dealer Gregory Solomon and Victor respectively. The transfer marks the play’s 50th anniversary as well as its first-ever West End production. The Price was written by Arthur Miller and follows two estranged brothers, Victor and Walter Franz, as they meet for the first time in 30 years in their childhood home after receiving news that their father had passed away. They are eventually greeted by Gregory Solomon, a furniture dealer who is looking to close on a deal. Soon Victor has some explaining to do. The Price first premiered on Broadway in 1968 and was nominated for two Tony Awards including Best Play. It has been revived a countless number of times with its most recent Broadway revival back in 2017, which starred Danny DeVito in an award-winning performance as Gregory and Mark Ruffalo as Victor. 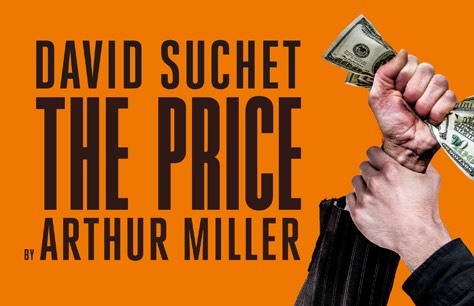 Don’t miss out on the London premiere of Arthur Miller’s The Price. The Theatre Royal Bath production of The Price received rave reviews so tickets for The Price in London are expected to sell out quickly due to popular demand. Be sure to book your tickets to The Price early for the best seats at the best prices when you use our interactive seating plan.